Any home that has a private septic system should be properly inspected by a septic professional every so often to ensure good working condition. If you are looking for a dependable septic inspection service in Lynnwood, you can look to our team at Schleg Valley Construction. Depending on your needs or the age and potential condition of your septic system, a number of methods may be used for the septic inspection process. For example, a visual inspection may be done by adding a surge of water throughout the system to check for any signs of leakage or any sort of odors. There may also be a need to put dye through the septic system to help with the spotting of any leakages. If it seems as there is some sort of leakage that leads to an inspection failure, there can be plans put in place for repairs. 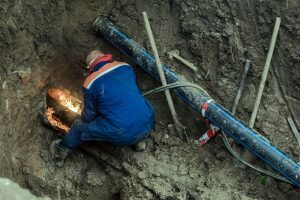 In some instances, there could be odors but no leakage with the surge of water, which is a sign that the tank will have to be pumped out and that some further inspection may be needed. In terms of the underground parts for your septic system, they should always be looked at by a professional in the septic field. This is something that calls for digging holes into the ground around the tank and the leaching field and there will have to be an inspection of the baffles. With a visual inspection, it will be easy for us to determine the size of the septic system as well as the condition of the baffles, telling us if the tank should be pumped out. When you need a septic inspection service in Lynnwood, be sure to hire the best. Call Schleg Valley Construction at (425)312-6750 for more information! We will be happy to come out to your location to get started on a full septic inspection.